When I’m out in the car with my daughter for a bit longer than she has the patience for being stuck in a car seat for, then I’ll get the high pitched screaming alarm or a frustrated hissy fit. She doesn’t hold on to her toys in the car for longer than five seconds before hurling them somewhere. With that in mind, she does pretty well to keep herself entertained most of the time on our car journeys, but it doesn’t stop me feeling a little anxious if I’m stuck out for longer than I intended, especially after I had a particularly bad car drive on the motorway… I will admit I haven’t really ventured away too far from home with Imogen and I do try to stick to some sort of daily routine. 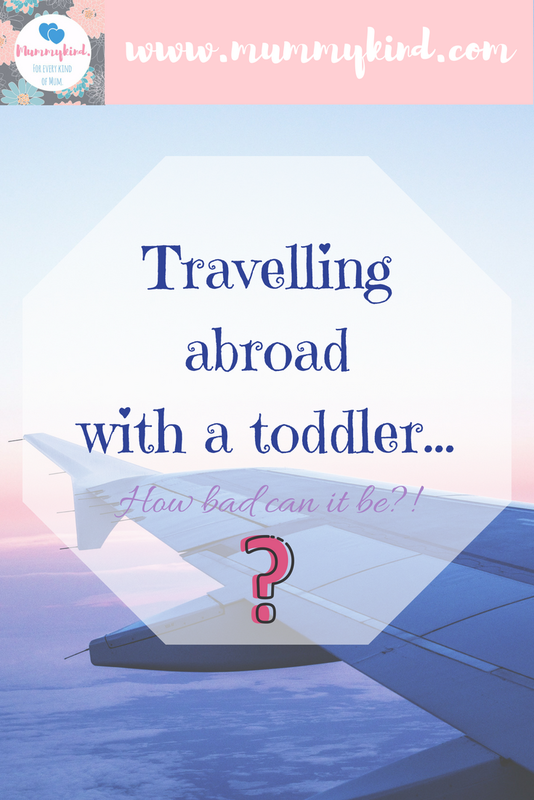 So when we decided to go abroad, I was left thinking how on earth we would cope with a toddler on a plane trip. It seems silly now in hindsight of our holiday that I was a bit worried, but it’s because toddlers are so unpredictable, as you all know! Perhaps you’re waiting to go away somewhere or you’re unsure of how you would cope… Please don’t let it put you off! Think of when you need to leave for the airport and then add extra time! You just know that with kids, that something is going to happen… a last minute stinky nappy or a refusal to get ready. I never get out of the door on time anymore anyway, so despite feeling super prepared we didn’t leave home until later than our plan to. On the motorway we were diverted off course due to road works and the sat nav took us through town after town. Watching the time ticking by, I’m not going to lie, I thought we weren’t going to be leaving the country at all, but in an attempt to keep my partner calm I kept saying just drive safe, it will be fine. At the end of the day, it’s not worth putting our lives at risk to catch a flight. Imogen slept the whole car journey and I’m glad we picked an early flight for this reason. At least she wasn’t adding to our stress. … Then it dawned on me that I hadn’t picked up the cartons of milk from the bag check. Eeek! We were keeping Imogen as entertained and calm as possible, with my partner’s brilliant idea to download some Peppa Pig from Netflix onto his phone before we left home. This helped while the flight was delayed for almost an hour on the runway before take off. Imogen was a bit squawky by this point on the flight and wanted to get off my lap to run around but the whole experience for her was new, exciting and strange! There was very little we could do, other than try to keep her occupied with the toys we’d packed for the flight, (one of them being a new toy that we thought she would be excited about), and once we could, we bought some snacks from the on flight drinks trolley. There were other babies and toddlers on the flight and they all did really well. Yes there was a bit of noise but if other people have a problem with that then I’m sure it’s nothing that a pair of earphones wouldn’t help with. Don’t let this worry you. 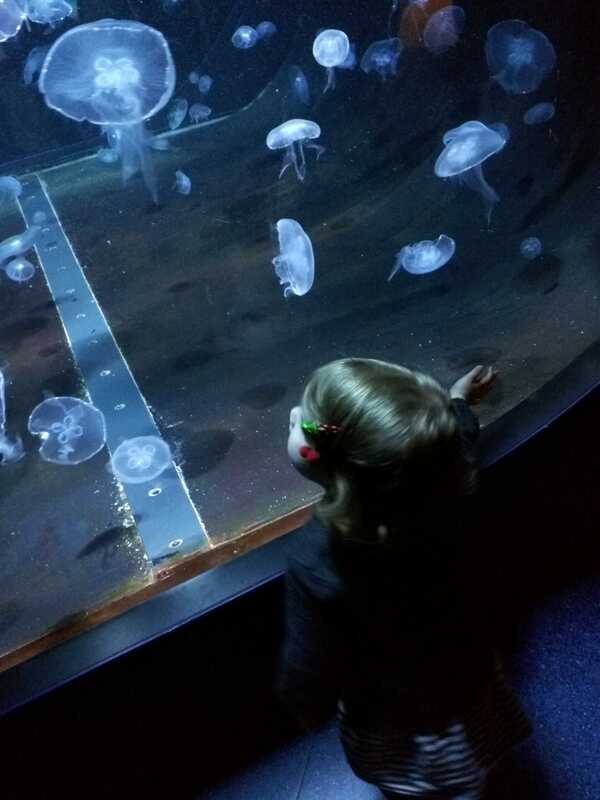 Kids have as much right to travel as anyone else! We found out once we reached our holiday destination that our relatives with a small child had to wait hours for a delayed flight the day before. I suddenly felt that our experience could have been a lot worse! We had a lovely week with family and we were all feeling pretty sombre about the holiday ending. When we were headed back to the airport we were stuck in traffic and I think the constant stopping and starting was what caused Imogen to be very sick all over herself. I was cleaning her up and once we got to the airport I was able to change her into fresh clothes. So I think in future I will remember to keep a spare change in our cabin bag. We then had a forgotten Toot Toot dog set off the scanner for our hand luggage, which caused us a bit of delay but at least it gave the staff a few giggles! We again got to the boarding gate with very little time to spare… 10 minutes this time! But the strange thing is, we were so much more relaxed. When we were queueing to board the plane we were told our cabin bags would have to go into the hold! So on the flight back we didn’t have all the toys and entertainment that we had on the trip there. This time though we had the trusty milk and Imogen fell asleep for the whole flight home. When we returned to the car, thinking all had gone pretty well and feeling eager to get home, we found our car had a flat tyre in the airport car park! We wouldn’t be home for another 5 hours! Instead of worrying though, we took it in our stride and managed to get it sorted, despite having no phone, (the battery died) and being somewhere unknown. What I learned from our trip was that we coped. We could have spent ages planning for the trip and things still wouldn’t have gone to plan. What happened though wasn’t really so bad! I’m so glad we went abroad with Imogen and now I know I won’t worry so much about travelling again. Perhaps we’ll go further away next time. Maybe I will try doing longer car journeys or a train trip on my own? I feel far more confident for next time. Oh no! How horrible for you! We're going to be making the same trip I wrote about regularly so we'll see if it gets better or worse! What a great idea to download Peppa Pig episodes for Netflix – definitely the right plan there! Glad to hear that you coped! Thanks so much for linking up at #KCACOLS. Hope you come back again next time. It was the only time I was grateful to be watching it! Thank you so much for your support. Hopefully now we've got the nightmare trip out the way next time will be a breeze! Thank you so much for your support. You're definitely right! Thanks for your support. 9 hours!? Cor you're braver than me. Hope it didn't put you off.Thanks for the support.